Police General Oscar Albayalde, chief of the Philippine National Police (PNP), wants the 18 policemen, who stood their ground and drove back a large band of Communist rebels trying to seize their police station in Victoria, Northern Samar, to be the poster boys of bravery for the entire police force. That is why in the flag-raising ceremony on Monday at Camp Crame, the 18 policemen will be awarded for their bravery, including meritorious promotion for most of them. “I gave an instruction for them to report on Monday (April 1) flag-raising at Camp Crame. They will be commended and be given awards and some of them will have meritorious promotions,” said Albayalde. Those who will receive Medalya ng Kadakilaan (Heroism Medal) are P/Lt. Eladio G. Alo, officer-in-charge of the Victoria Municipal Station; P/Chief MSgts Aimee Lutze Cadiente and Marlon Ordonia; P/Sr. MSgt Arturo Gordo Jr.; P/MSgt Arnold Cabacang, P/Staff Sgts Ramil Ramosa, Raul Francisco Jr. and Brande Esquilon; Police Cpls Bryan Ed Penaflor, Jaykarl Laurio, Eddie Edwin Diaz, Tracy Silagan and Jake Salesa; and Patrolmen Ronnel Goco, Marlon Estopagian, Errol Montopar, Geral Casyao and Jhonar Cris Bernadas. Gordo and Cabacang will receive a separate Medalya gn Sugatang Magiting (PNP Wounded Personnel Medal). It could be recalled that the 18 policemen put up a gallant fight against more than 50 rebels who attacked their police station last week. Despite being outnumbered, the cops were able to kill three of the insurgents and arrested another one. “They are a good example of what policemen should be: always ready and aware, and have the instinct to fight the enemy,” said Albayalde. “That is why I would like to commend them for their actions,” he added. The attack on the Victoria Police Station was one of at least four attacks carried out by the Communist rebels across the country to mark the 50th founding anniversary of the New People’s Army (NPA). Police stations have been the favorite targets of attacks in the past as Communist rebels would underestimate their fighting capability. 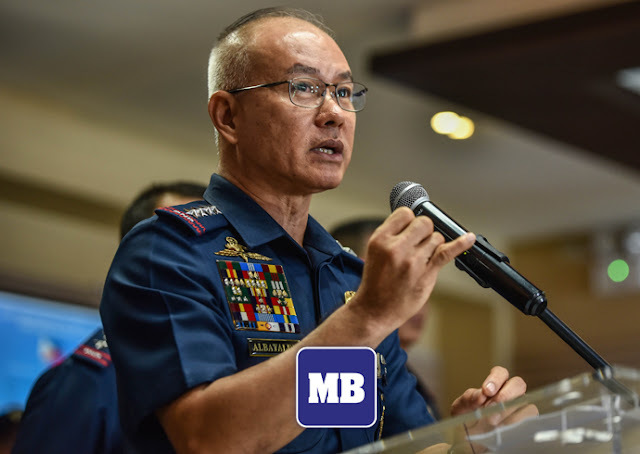 Recently, Albayalde has issued a directive mandating a commando training for all recruits of the PNP.